The crack down on pill mills across the state of Florida and the United States has lead to a sharp increase in heroin addiction. Pills such as OxyContin have become harder to find, more expensive and harder to abuse, leading addicts to turn to heroin for a cheaper, more accessible high. Along with the increase in heroin addiction, there has been an increase in the need for heroin addiction treatment in Florida. The shutting down of pill mills in conjunction with the new penalties for physicians who over prescribe have made a large dent in prescription pain medication abuse across the country. Adding to that decrease has been the new formula used to produce OxyContin, which makes it harder to crush, turning the pill into a gummy substance rather than powder, making it harder to snort or inject. While the decrease in OxyContin abuse is encouraging, it has lead to the sharp increase in heroin addiction in Florida and across the country. Heroin addiction treatment in Florida begins with detox. Because heroin addiction is so strong, detox is a must before entering any treatment program in Florida. Detox helps clients through withdrawal and leaves them more prepared mentally and physically to begin rehab. After completing detox, clients can move on to heroin addiction rehab in Florida. Heroin addiction treatment in Florida will begin with inpatient treatment. Inpatient treatment in Florida will last anywhere from 30-90 days, or even longer, depending on the individual and the severity of their heroin addiction. Longer programs in Florida have the added benefit of being able to provide multiple levels of care to their clients, allowing them to slowly graduate to lower levels of care including inpatient, partial hospitalization, outpatient, sober living and aftercare. Heroin addiction treatment in Florida can consist of many different approaches to recovery including individual therapy, group therapy, specialty group therapy, recreational therapy, 12-step meetings, holistic approaches to recovery, life skills training and more. Dual diagnosis has also been shown to be imperative for clients in heroin addiction treatment that are suffering from a co-existing mental health disorder. Mental health disorders often seen in heroin addiction treatment in Florida includes a wide range of illnesses including eating disorders, personality disorders, anxiety, depression, bipolar disorder and more. For clients dealing with heroin addiction and a mental health disorder, treating these issues while enrolled in a Florida treatment program greatly reduces their risk for relapse due to self-medicating. 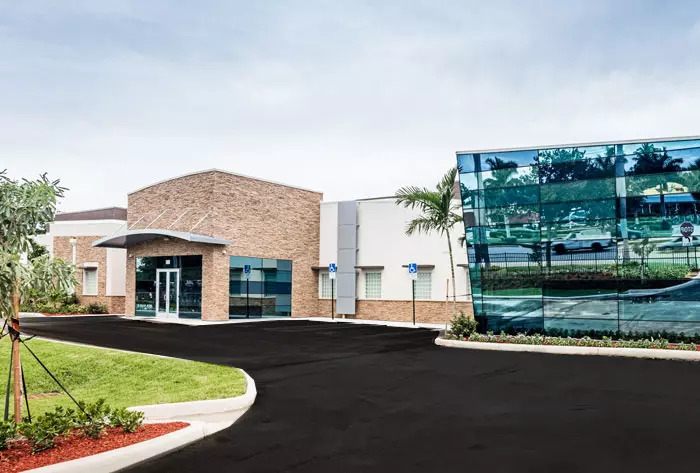 FHE Health provides excellent heroin addiction treatment on our beautiful campus located in Deerfield Beach, Florida. Our team of professionals provides comprehensive treatment spanning all levels including detox and sober living. If you or a loved one is struggling with addiction, please call us now at (844) 299-0618 or email us for more information on our Florida programs and how we can help you or your loved one get back to the healthy lifestyle you deserve.